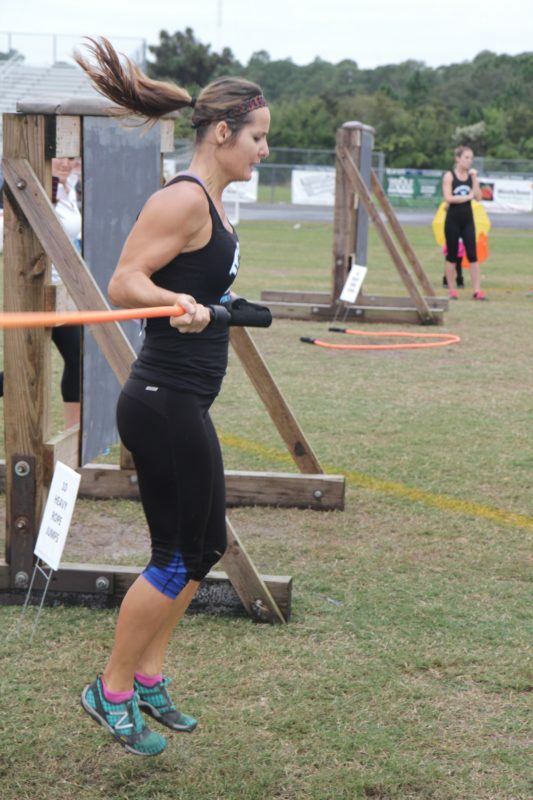 True Grit Challenge – yes YOU can! 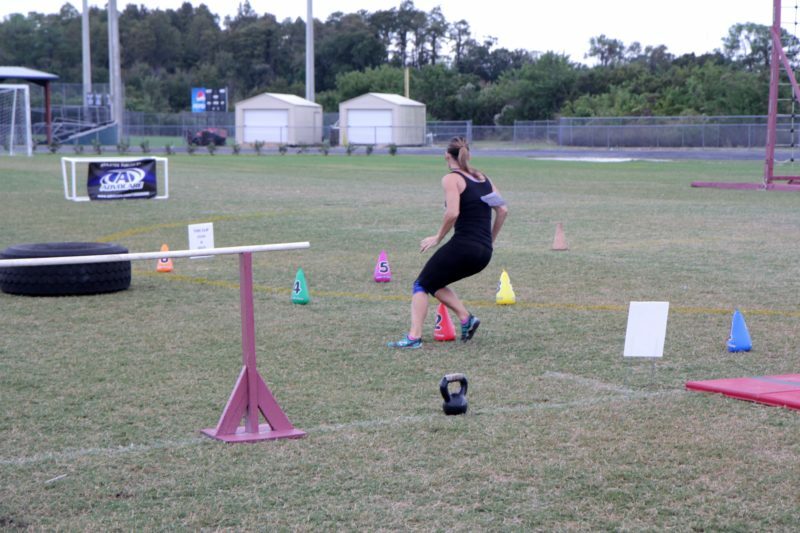 Shuttle Run: Run down 10 yards and touch the cone; run back 10 yards and touch cone at starting line; run 15 yards to Wall. Wall: Scale 5 foot wall (there is room on the outside portion of the wall to step up and go over). Running grid: 15 foot running grid – must step in each square. Pushups: 3 pushups with chest touching medicine ball; arms extend. Forward Roll: After you bear crawl through the shoot your hands will touch a mat where you perform a forward or shoulder roll. Cone Weave: Negotiate your way around cones (outside of cone) with both feet having to go around the outside of each cone. 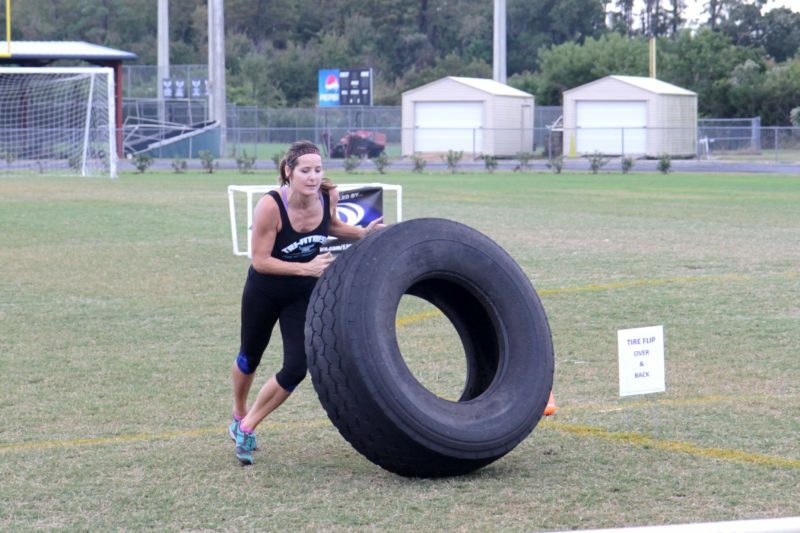 Tire Flip: After going around the last cone, you will flip a tire over and then flip it back to original spot. 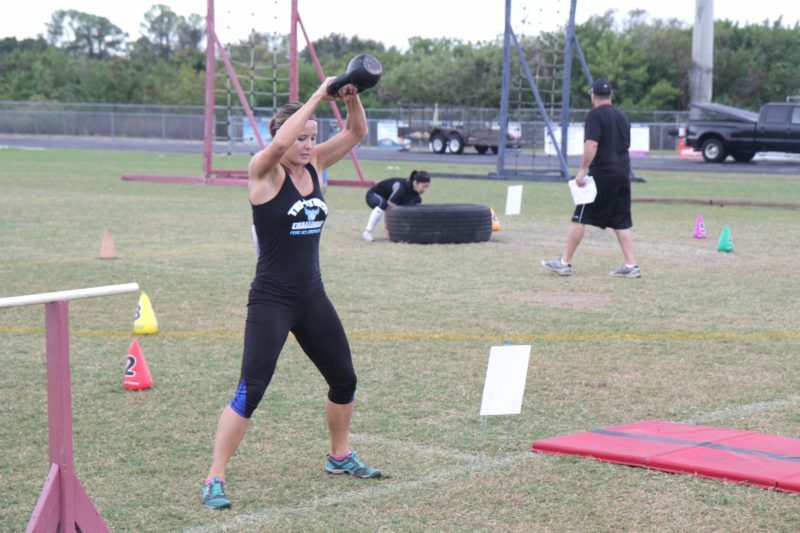 Kettle Bell Swing: Men will swing a 35 lb kettle and Women a 25 lb kettle; swing 5 times clearing your head with your hands. Kettle bell must be put back on mat or in circle. 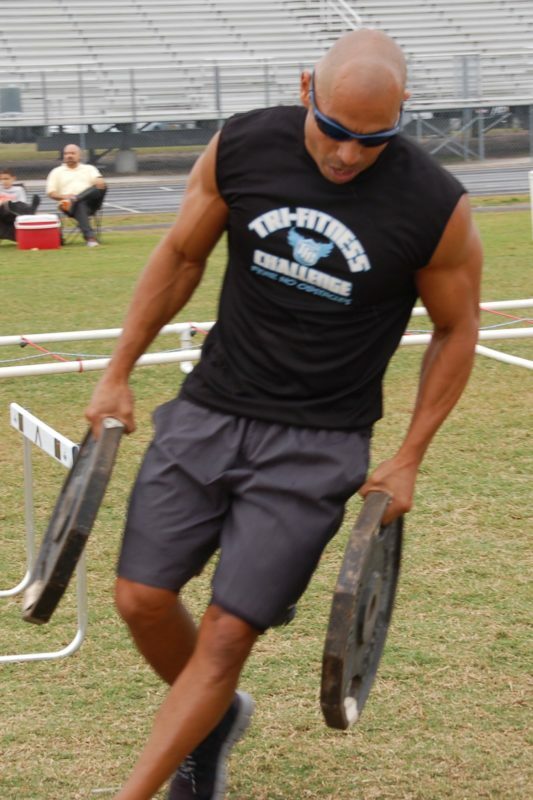 Squats/Farmer Carry: Men pick up (2 ) 45 lb plates and Women pick up (2) 35 lb plates and squat 3 times with plates hitting the ground (must come back to standing position); Farmer carry the 2 weights 10 yards around a cone and 10 yards back to original spot, dropping them on mat or in circle. 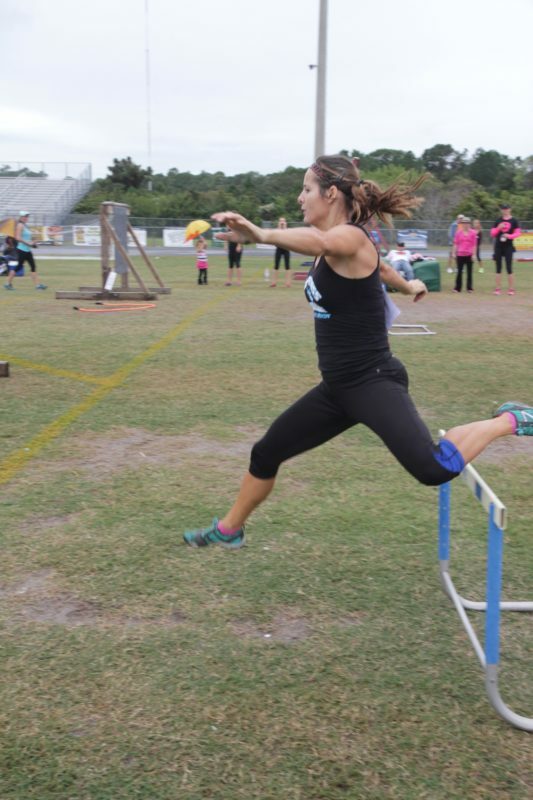 Hurdle (30 inch hurdle): Run 10 yards and go over 30 inch hurdle. 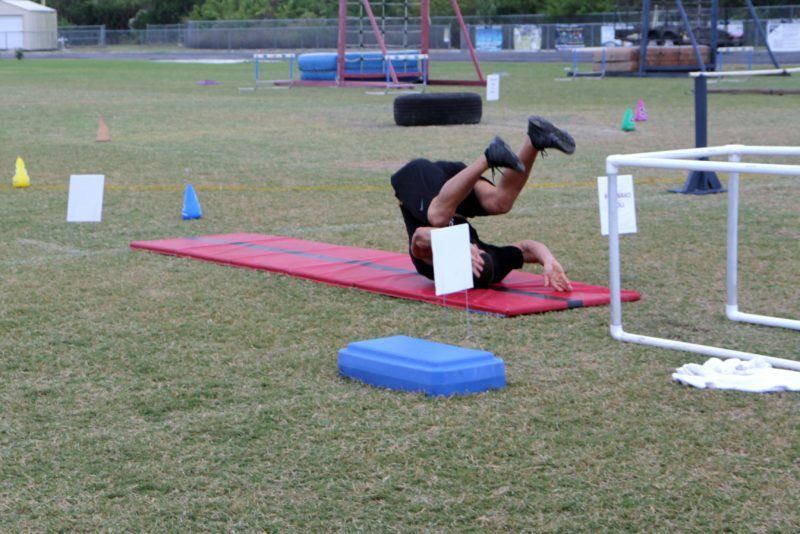 Hurdles (24 inch hurdles): Run 10 yards and go over hurdle and then 10 yards and go over next hurdle. 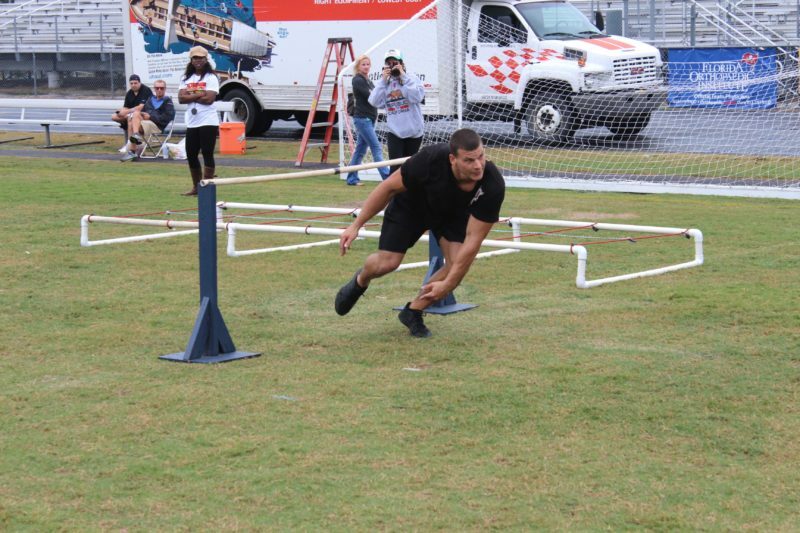 Under bar: Run 10 yards and go under 36 inch under bar and then 10 yards around cone.